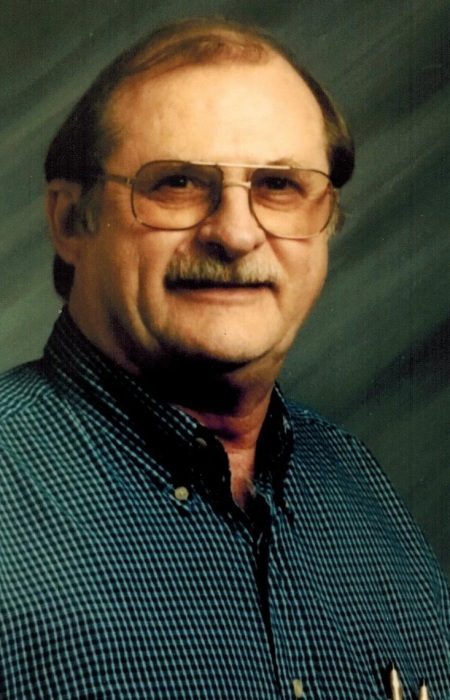 Larry W. Wiech was called home to the Lord on November 29, 2018. Larry was born March 15, 1941 in Paragould, Arkansas to the late Rev. Werner Wiech and Julia E. (Herner) Wiech of Lorain, Ohio. Larry married Nancy L. Gallaher on August 28, 1960. They were blessed with four children: Rhonda,(Larry) Fox of Springboro, Ohio; Dean (Melissa) Wiech of East Rockaway, N.Y.; Steven(Karen) Wiech of Liverpool, N.Y.; Larry (Marianne) Wiech of Columbus, Ohio. On February 14, 1992 Larry married Barbara (Rager) Wiech. He has three stepchildren: Scott (Shannon) Stewart; Ryan (Kimberly) Stewart; Traci (Bruce) Sneary. Larry was preceded in death by a brother Richard Wiech of Lodi, California; a sister Juanita (Jim) Carner . He is survived by a brother Allen (Sally) Wiech and a sister-in-law Rosemary Wiech. Larry is also survived by his grandchildren: Jr Wiles, Gabe (Sarah) Wiles; Hilary (Anthony) Kotou, Hannah Wiech, Travis (Katrina) Fox and Brittany (Jesus) Marcano. Survived by many step-grandchildren and a few great grandchildren. Larry graduated from Clearview High School class of 1959, Lorain, OH. He also attended Cleveland State University and Ohio State, Lima Branch. He was President of Dotson Plumbing and Heating in Cridersville. Larry was a member of Immanuel Lutheran Church Lima and was an associate member of Redeemer Lutheran Church in Englewood, Florida. Larry served as a volunteer for Tidewell Hospice of Port Charlotte, FL. Larry was an adult bible class teacher for 35 years; he also enjoyed hospital and home shut in visits. Hobbies included woodworking with oak and home repairs. He also enjoyed writing and reading. He was a member of the Eagles. He served as past president of the Exchange Club in Oberlin, Oh and past president of Via DeCristo Christian Layman retreat organization for Ohio and Indiana. Larry and Barb enjoyed traveling all 50 states, part of Europe and many cruises. Friends and family may attend Christian Funeral Services on Monday, December 3, 2018 at Immanuel Lutheran Church, 2120 Lakewood Ave., Lima, OH. There will be visitation starting at 10:00am the service will follow at 12:00 p.m. In lieu of flowers donations can be made to Immanuel Lutheran Church or Mercy Health Hospice. Rev. Michael Phillips will officiate. Online condolences may be expressed at www.chamberlainhuckeriede.com .